Its time to upgrade your old server? This year there has been many achievement in terms of technology which lead the technology giant to stop discontinue few of their services as well. 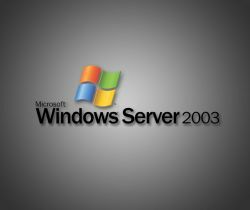 To name it End of Support (EOS) of Windows Server 2003 is one which ended on 14th July 2015, but this is not the only services that has been stopped. So, you might think to upgrade yourself with the latest on from the Microsoft. But the question might arise if our business is running smoothly then why should we upgrade ourself and spend money on it. The answer is what happen if your server stops all of a sudden and you want technical support from Microsoft? What about the other software plus hardware which you are using might not compatible. Or there might be the redundancy related concerns. So, latest server technology offers you more robust security and availability options than ever before. This helps your intellectual property and avoid redundancy concerns as well. The new Windows Server have added features such as Hyper-V, Improved system scale, DirectAccess, Read-only domain controller, Server Core Installations, Improved Remote Desktop Services, Remote Infrastructure, Server Management, Web platform.